Uninstalling unwanted programs is one of the ways to speed up Windows operating system and free up disk space. Computer users who used Windows Vista, Windows 7 or Windows 8 for a long time before upgrading to Windows 10 might need assistance for the first time to uninstall programs in Windows 10. 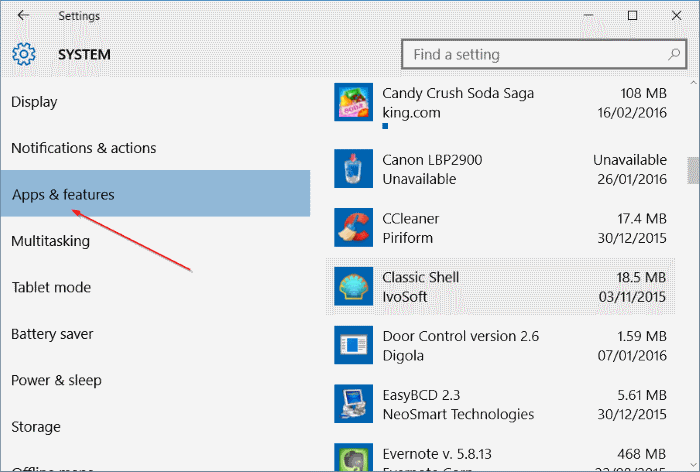 Following are the three ways to uninstall classic desktop programs in Windows 10. The first method is to uninstall traditional programs via the new Settings app. In the second method, we will see how to uninstall programs via the Control Panel. Skip to the last method to uninstall programs using the popular CCleaner. Uninstall classic applications via Settings. The new Settings allows users uninstall not just apps installed from the Windows Store but also traditional desktop programs. 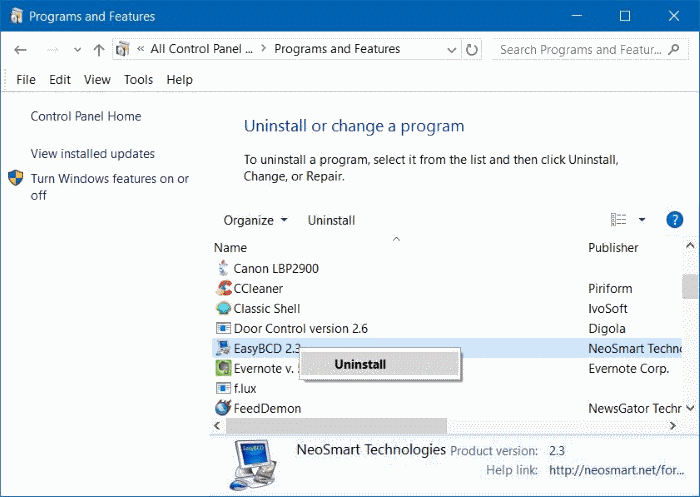 Here is how to uninstall program via Settings. 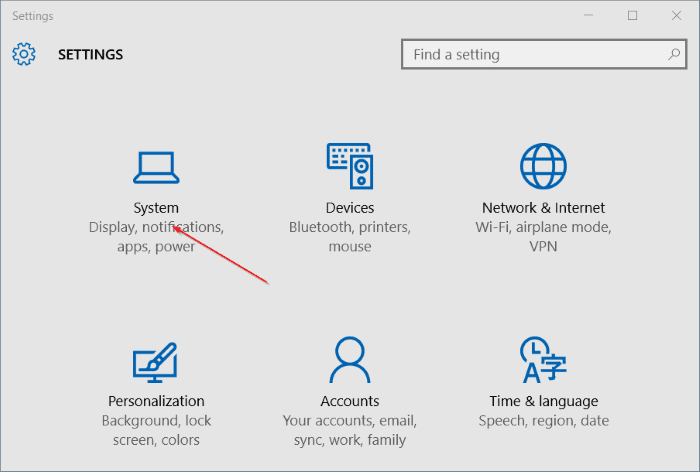 Step 1: Open the Start menu and then click on the Settings icon to open the Settings app. Alternatively, you can use Windows logo and I hotkey (Windows logo + I) to quickly launch Settings. Step 2: Click the first icon labelled System. Step 3: Click Apps & features to view all installed apps from the store as well as traditional desktop programs. Step 4: Click on an application that you want to remove or uninstall to see Uninstall button. Step 5: Lastly, click on the Uninstall button to see the confirmation dialog. Click Uninstall button again to begin removing the selected application. Although the above method of uninstalling programs via Settings app is works without any issues, most users prefer using the Control Panel to remove traditional desktop programs. 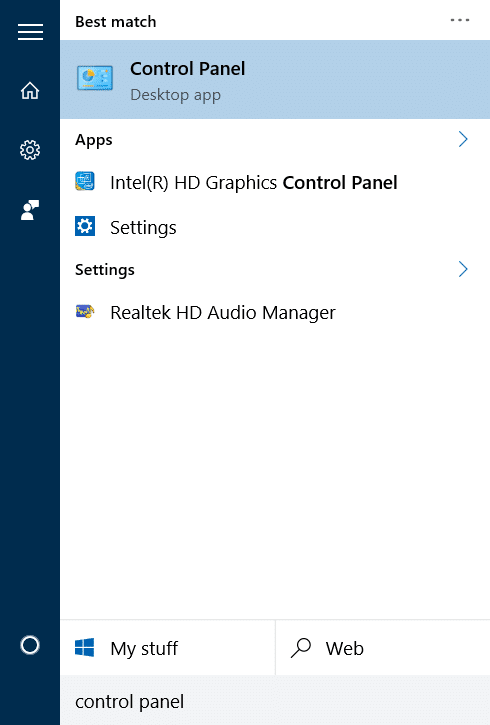 The steps to uninstall programs via Control Panel in Windows 10 is the same as in previous versions of Windows. 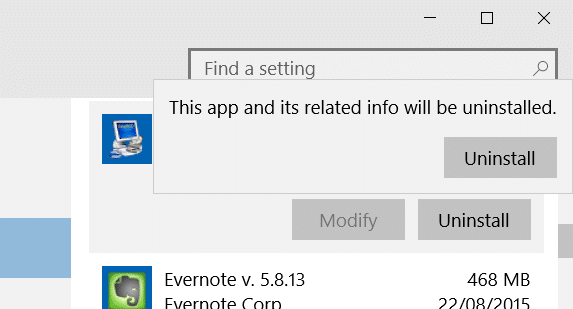 NOTE: You can’t uninstall apps installed from Store via Control Panel. Step 1: Open Control Panel. 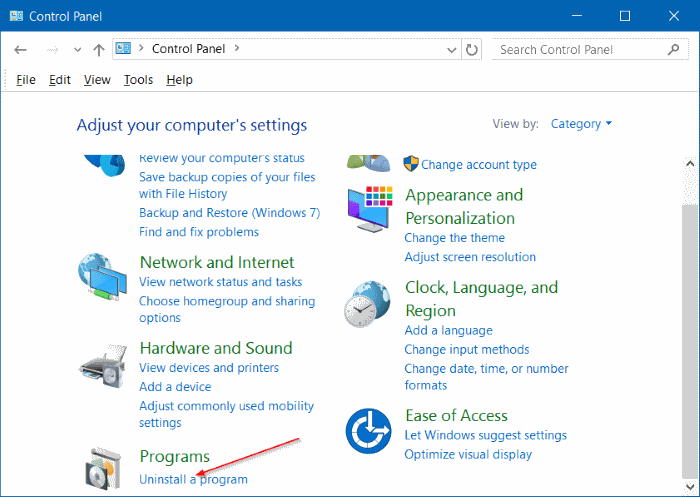 There are many ways to open Control Panel in Windows 10. 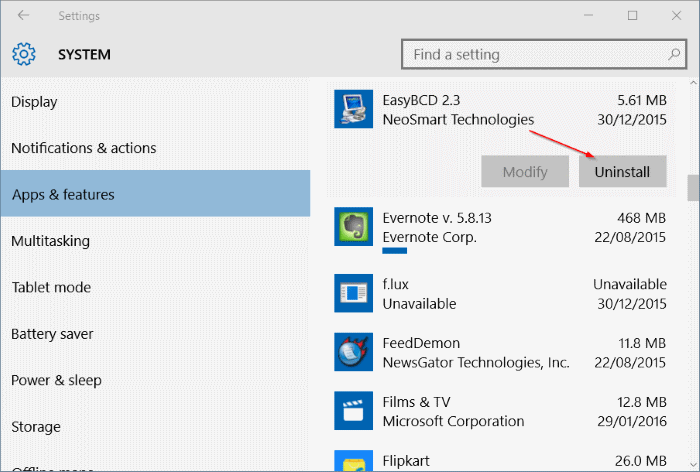 The easiest way is to type Control Panel in Start menu or taskbar search box and then press Enter key. 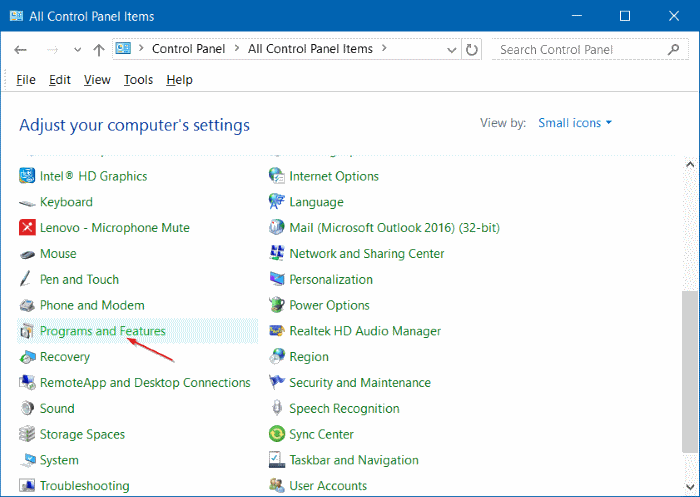 If the search is not working, right-click on the Start button on the taskbar to open power user menu and then click Control Panel. Step 2: Once the Control Panel is launched, click Uninstall a program as shown in the picture below. If the Control Panel is being displayed with small icons (as shown in the picture below), please click Programs and Features. Step 3: Right-click on the program that you want to remove from your Windows 10 PC and then click Uninstall button. Click Yes button if you see the confirmation dialog. Once uninstalled, some programs might ask you to restart your PC. If asked, please reboot once to complete the uninstallation. At times, some programs refuse to get uninstalled when following above mentioned standard procedure. In that case, you need to use third-party programs such as CCleaner to get rid of the program. 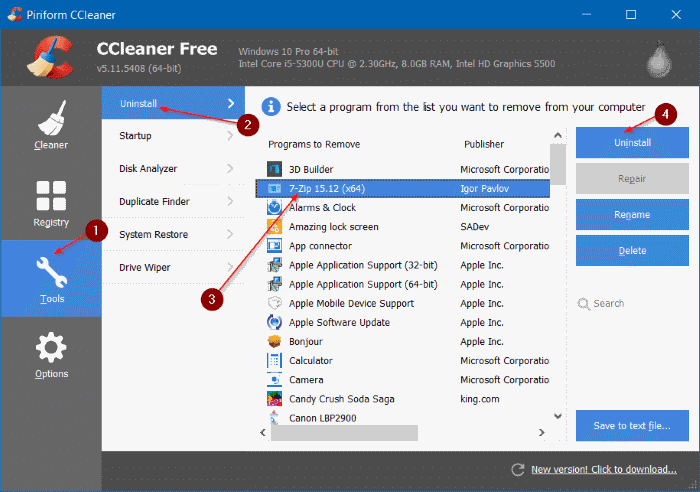 As you likely know, the free version of CCleaner for Windows 10 supports uninstalling both apps installed from Store as well as traditional desktop programs. Complete the given below instructions to remove desktop applications using CCleaner. Step 1: Download and install CCleaner, if not installed already. Step 2: Launch CCleaner. Click Tools and then click Uninstall to view all installed programs and apps. Step 3: Click on the program that you want to get rid of and then click Uninstall button. Click Yes if and when you see the confirmation dialog.